Almost everything you wanted to know about content marketing in one post. How to thrive in difficult times. How to create a social media calendar. A powerful content marketing plan you can put to use. Several more smart bits of content marketing goodness. 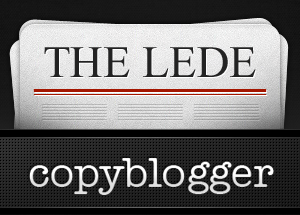 If you want even more links you can use than the seven we highlight here, follow @copyblogger on Twitter. Brackets are mine. Shane Snow has made things easy for the beginning content marketer, and useful for the veteran. To make a start right here would be a wise decision. Ms. Buyer has written invaluable advice on tackling one of the most difficult (and elusive) aspects of content marketing: the editorial calendar. You’ll find tips, tools, and definitions on the other side of this link. Thank her when you get there. David Meerman Scott joined us on the radio show this week to discuss newsjacking. This article is a fascinating follow up to and summation of his strategy that can bring free PR and media exposure to you and your business. Ben Settle read something 10 years ago that changed his life. It’s a big piece of what carried him through some scary economic times, to becoming a highly-paid expert on email marketing. Mr. Settle’s opinion is that this lesson teaches the most valuable skill a working person can possess. It wasn’t long ago that this seemed like a futile idea. The gatekeepers were too powerful, the distribution systems locked up, the audience too far away. What’s one thing good content marketing does for you? It allows you to pick yourself. Mr. Godin wants you to pick yourself. Mr. Brogan offers 97 specific ideas on how to do it. Wow! Thanks so much! I’ve been lately trying to research a bit about Content Marketing and this is a great jumping board into that arena! Spent nearly 2 hours reading and researching from this resource, thanks Copyblogger.